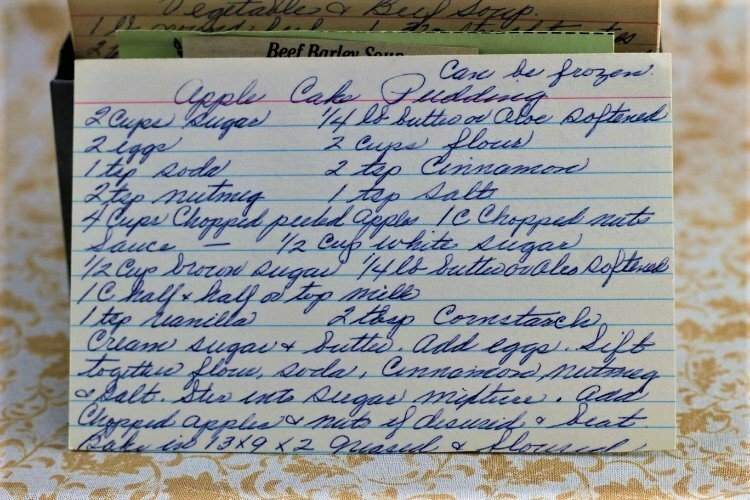 Front of the recipe card for Apple Cake Pudding. 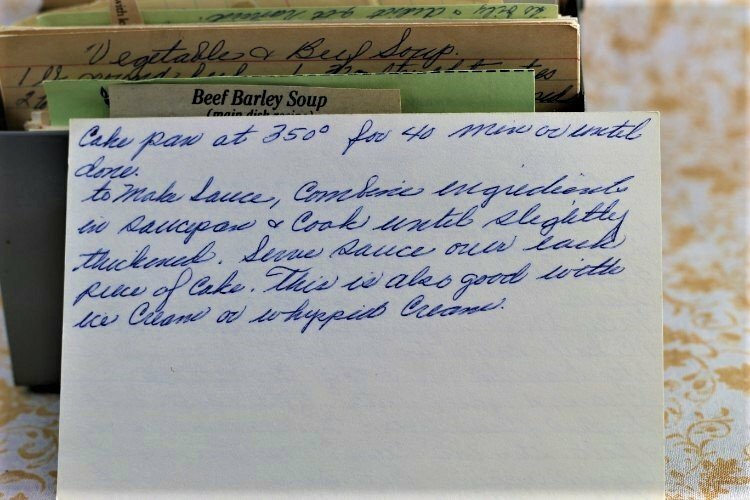 There are lots of fun recipes to read in the box this recipe for Apple Cake Pudding was with. Use the links below to view other recipes similar to this Apple Cake Pudding recipe. 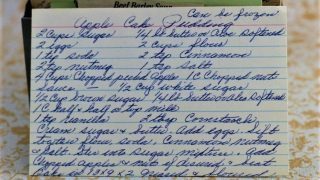 If you make this Apple Cake Pudding recipe, please share your photos and comments below! Sift together flour, soda, cinnamon, nutmeg & salt. Add chopped apples & nuts if desired & beat. Bake in 13x9x2 greased & floured cake pan at 350° for 40 minutes or until done. To make sauce, combine ingredients in saucepan & cook until slightly thickened. Serve sauce over each piece of cake. This is also good with ice cream or whipped cream.